Good. Moderate wear, 2 creased pgs, clean, no marks. Glued binding. 464 p. 14 cm. Contains: Halftones, color. Rick Steves' Phrase Books. Audience: General/trade. Very Good. 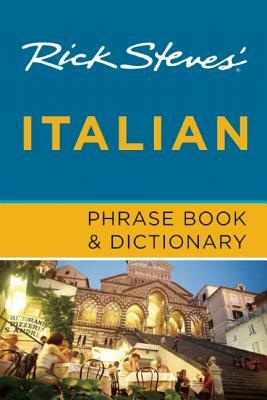 Informative, concise, and practical, Rick Steves' Italian Phrase Book and Dictionary is an essential item for any traveller's zainetto. Trade paperback (US). Glued binding. 446 p. Contains: Illustrations, color. Rick Steves. When you need a dictionary, always buy Rick Steves. You get all you need to make the right choices where you go. It is more than a dictionary. Wonderful! You can count on it . . .
You can always depend on recommendations from Rick Steves. This is another winner.